Heuchera sanguinea 'Frosty Morn'. Considered to be the most stable "frosted" or "misted" of the sanguinea coral bells. 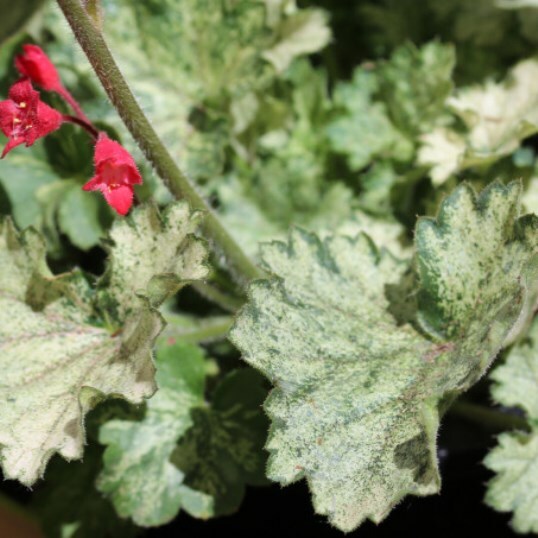 The white and green variegated foliage is topped off by rich red flowers in late spring and early summer. Appreciates some sunlight.